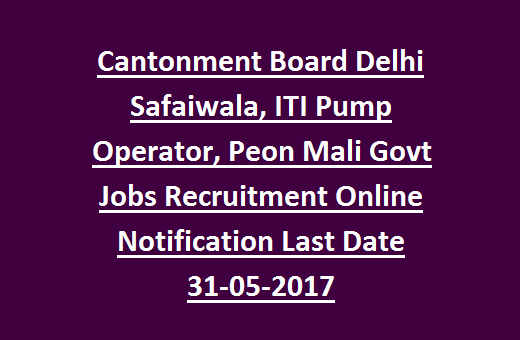 Delhi Cantonment Board recruitment of Safaiwala, Pump Operator and other jobs. Eligible candidate can submit the their application forms online from 01-May-2017 to 31-05-2017 online at official website of Delhi Cantonment Board @www.cbdelhi.in. Applications will be accepted through online only. Offline applications will not be accepted. Selection for this Cantonment Board Delhi Jobs will be based on Written Test and/Or Interview. 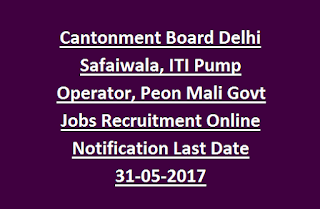 Cantonment Board Delhi Jobs Recruitment complete details are given below. 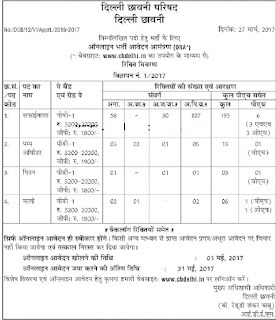 Total 217 vacancies available in Delhi Cantonment Board. Age limits are as per the government norms. For reservation candidates age limits are applicable as per Delhi Cantonment Board rules. For Safaiwala, Peon, Mali posts candidate must have qualified matriculation and should have experience in relevant trade. Selection for Delhi Cantonment Board Jobs will be based on written test or interview. 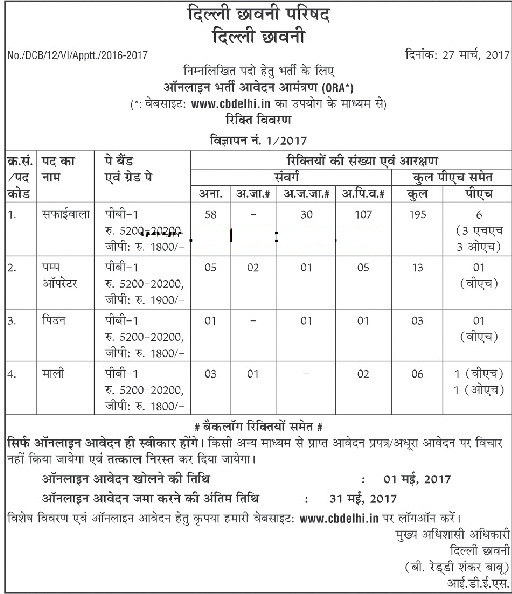 Online applications only acceptable for this CB Delhi recruitment of ITI Pump Operator, Safaiwala, Peon and Mali Jobs. Submit your application form online @www.cbdelhi.in.